← India to test maneuverable misslie – Nirbhay. India has entered the global race of stealth technology with its AMCA (Advanced Medium Combat Aircraft) programme. Apart from the ongoing FGFA programme with Russia, India is investing a dime for its indigenous stealth aircraft. Apart from China, India is the only country in the world to carry two stealth programmes at a time. Although picture is not clear that can differentiate between roles of the two aircrafts, as developing both the programmes to an air superiority stealth aircraft does not make sense. 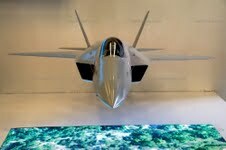 But one thing is for sure India wants to produce a multirole fighter aircraft rather than strike optimized plane with advanced air to air capabilities, just like F-22 Raptor. Apart from Dassault Rafale there is no bomber to fill the void between Sukhoi 30 MKI and LCA Tejas in IAF at present time. In 2008 Indian Air Force discussed the technology advancements with ADA (Aeronautical Developments Agency) in achieving stealth features that can be developed and incorporated with present technology advancements in the country. And after realizing the feasibility of the programme IAF proposed the project by submitting the proposal with its requirements to be featured. Indian Air Force clearly emphasized that the programme cannot take delays and failures like LCA Tejas and asked ADA to come up with pragmatic solutions. IAF have reviewed the project number of times in the past to meet its range and payload capacity, and therefore the design have been under alteration since the beginning. The total development of the programme seeks $2 billion of funding and an initial waver for 100 Crore has been granted to it for initial phase developments. ACMA is a twin engine, single seat Fifth Generation Fighter Aircraft to counter the J-31 and J-20 stealth aircrafts of China. The programme is using the valuable advancements in jet technology achieved while designing LCA Tejas. A naval version of the jet will also be developed as navy has also contributed in the project. The approximated weight of the aircraft will be 16-18 tones with an internal weapon bay capacity of 2 tones and internal fueling of 4 tones. ADA has so far planned to use GTRE (Gas Turbine Research Establishment) state of the art GTX 35VS which is still in its development stage, but is expected to get delivered in the later part of this decade with all its glitches eliminated. GTX 35 VS has reached 90-93% of its required capabilities with the technical assistance from SNECMA. The aircraft will reach up to Mach 1.8 with a ceiling of 15 kms. With aerodynamic optimization completed the broad scale picture is drawn. It is expected to take its maiden flight in 2020 with introduction in Air Force by 2022; although the configuration finalization is expected to finish early in 2018.Aircraft will be equipped with DRDO Astra missiles, AESA Radars and other modern electronic warfare systems. SAAB is providing technical consultancy to ADA. Posted on March 15, 2013, in Army, Aviation. Bookmark the permalink. 2 Comments.